Maple syrup is a 100% natural product made from the sap of maple trees. In the late winter and early spring, during periods of overnight freezes and daytime thaws, maple trees develop positive pressure in their stems. During this time, sap is collected from maple trees and concentrated to a high sugar content to make a light to dark brown syrup. Maple syrup is a pure product and contains no additives or preservatives. How is maple sap collected? Maple syrup production begins with the tapping of maple trees and the collection of sap. Tapping is simply the act of drilling a small hole into a maple tree each spring. On days when trees have positive pressure, the sap slowly drips out the tap hole. Typically, this raw sap has a sugar content of about 2%. The sap can be collected in many different ways. The traditional method, still used by many small producers, is driving a small spout into the tap hole and hanging a bucket or bag from the tree. The sap is then collected periodically from these small containers and placed in a storage tank. More commonly, sap is collected in plastic tubing systems that direct the flow of sap to a central storage area. These systems usually consist of smaller, flexible lines called lateral lines that attach to plastic spouts that are driven into the tap hole. These lateral lines flow into larger diameter lines, called main lines, that flow into storage tanks. Most larger maple producers use vacuum pumps to create negative pressure in their collection systems. Using vacuum dramatically increases the amount of sap production. How is sap turned into syrup? In order to turn maple sap into syrup, it needs to be concentrated and cooked at high temperatures. Sap can be concentrated in two ways. The traditional method is boiling the sap in a specialized pan called an evaporator. As the sap is heated, water evaporates, leaving behind concentrated sugars and other compounds that give maple syrup its distinctive taste. Heat also caramelizes a small amount of the sugar, creating a robust flavor. Sap is boiled in this fashion until it reaches a sugar concentration of about 66%. This occurs at a temperature of around 219 degrees Fahrenheit. Another way to concentrate sap is reverse osmosis. In this process, sap is pushed at high pressure through special filters, called membranes, that remove purified water from the sap. Most commercial producers use reverse osmosis to concentrate sap before cooking it into finished syrup in an evaporator. Using reverse osmosis reduces processing time and energy requirements by 75% or more. What kind of trees are used to make maple syrup? Sugar maple and black maple are the two species of trees most used in making maple syrup. Both are long-lived hardwood species common in deciduous forests in the northeast. Red maple is another species that is frequently tapped for maple syrup production. Several other species in the maple family also produce a sugary sap, but are less frequently used due to undesirable sap characteristics. These species include silver maple, Norway maple and box elder. Birch and black walnut trees can also be tapped and each produce their own distinctive syrup. Where is maple syrup made? Maple syrup is made in the region of North America ranging from southeastern Canada to Pennsylvania and from the East Coast to Wisconsin. The area of greatest production is New York, the New England states and the Canadian provinces of Quebec and Ontario. New York is the second largest maple producing state, surpassed only by Vermont. In 2016, New York producers made over 700,000 gallons of maple syrup. Anyone with maple trees and a favorable climate can produce maple syrup. It can be done on any scale, from a few trees to thousands of acres. Making maple syrup can be time consuming and labor intensive. However, many producers find the process rewarding and enjoyable. As a commercial enterprise, maple syrup production can be a profitable business venture. To learn more about maple syrup production, click the Resources link at the top of this page. More information can also be found by visiting the New York State Maple Producers Association website and the North American Maple Syrup Council. Have questions? 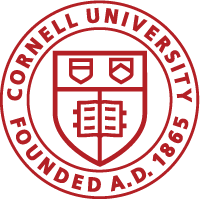 Join the maple discussion forum at Cornell Forest Connect.